Every successful idea has to start somewhere. It needs to be nurtured with hard work and vetted against hard data. Once you feel like you’ve got a winning concept, then its time to start doing the legwork to make it a reality. This is what we call the Planning Phase. During this time, you’ll want to figure out what steps to do, when to do them, where to go for additional resources, or when to change your approach. When it comes to getting all of your ducks in a row, the internet can be your best companion before you’ve even gotten your business online. 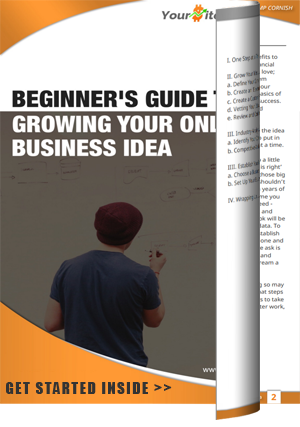 The Beginner’s Guide to Growing your Online Business Idea is the perfect place to start learning more about these topics, as well as many others. Our e-books include easy-to-read instructional guides, tips on how to keep records for later analysis, as well as links to other great resources. Check out our full library of helpful business tips and tricks and get started today by downloading our introductory e-book!